I feel like mojitos are getting huge lately. Everywhere I go, every place has their own take and their own “special flavor” of mojitos. I don’t feel like I really jumped on this bandwagon of mojitos, but while waiting for an old friend on a hot hot patio, I gave in. I ordered the pomegranate mojito because it just sounded so refreshing. It was. And it was amazing. Since I still had mint leftover in my fridge from the watermelon-mint jello shots that I wanted to use up, I thought this was a great idea. From the menu, the only hints I got for ingredients were Bacardi Razz and, of course, pomegranate juice. But, that helped a lot, because when I recreated it at home with a few extra ingredients, I felt like I was right back on that patio! Our neighbors were having a party and we each walked over, drinks in had. The hosts both tried them and loved them. When I went home to refill our drinks, I was instructed to bring a pitcher of these mojitos. They were tasty! 1. In a highball, add limes and mint leaves. Muddle limes and mint leaves with wooden spoon (or back end if it doesn’t fit into the glass). Fill glass with ice. 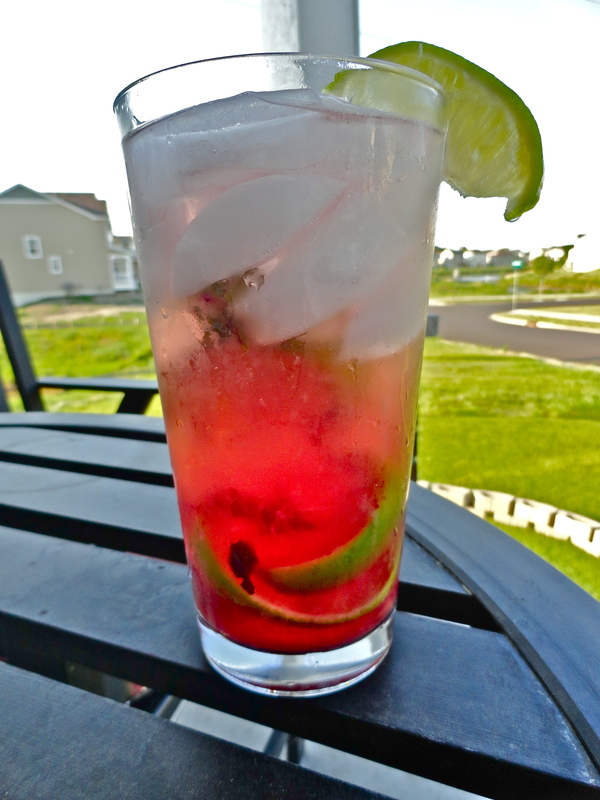 Add Bacardi Black Razz, pomegranate juice, club soda, then top with a splash of lemon-lime soda. Stir and serve. 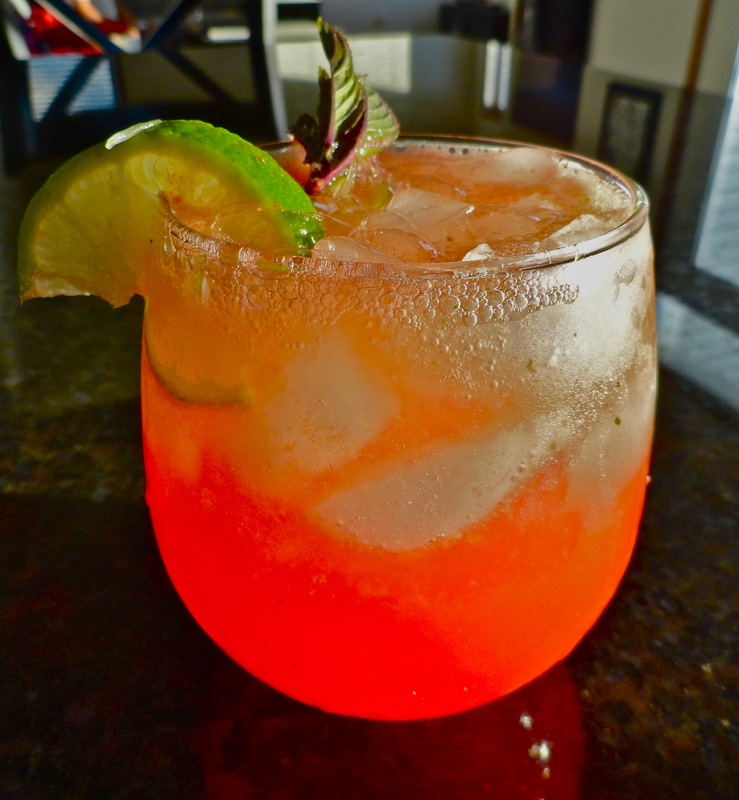 You may be wondering why I am posting a watermelon breeze right after the watermelon-mint jello shots. Where’s the variety, right? Well, turns out when you puree half of a watermelon, you end up with quite a bit of extra juice (it might also have to do with the fact that 3 cups of the juice was replaced with gin to make jello shots…). So I couldn’t just throw it out. I HATE wasting food; it’s a big pet peeve of mine. So, after our wine on Thursday (which is always wine and sweatpants night in my house), I finished off the night with this delightfully refreshing summer bevie. You could certainly substitute another liquor for the gin, but I think the flavor of the gin pairs nicely with the mint and truly acts as a background flavor to the watermelon. Even if you think you don’t like gin, try it first. Really, it was difficult to taste the liquor in this one…which certainly can be dangerous. 1. Fill a low ball with ice. 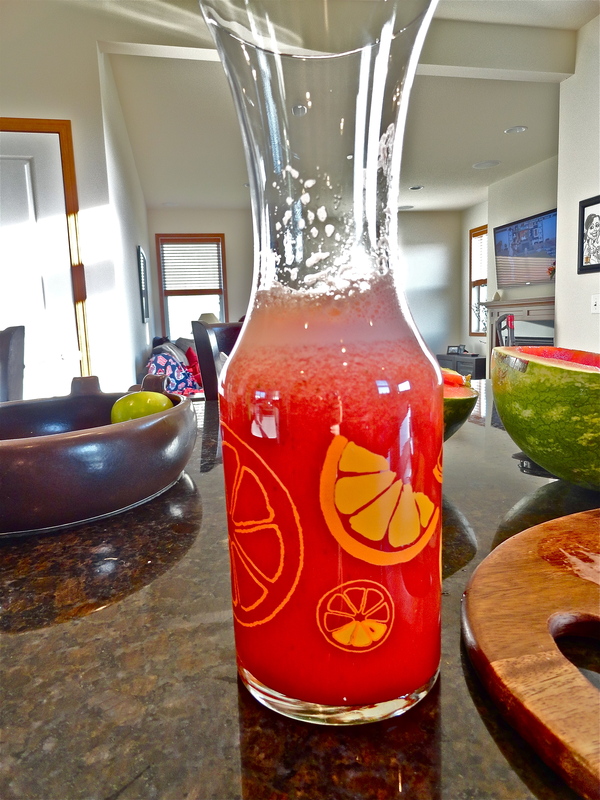 Pour in gin, watermelon puree, then top with splash of soda water. Stir as desired. Garnish with lime and mint.